Google recently sponsored and participated in several conferences, including the 2013 National Society of Black Engineers (NSBE) National Conference, the Committee on the Status of Women in Computing Research (CRA-W) conference, and the Richard Tapia Celebration of Diversity in Computing conference. Each conference had many truly inspirational students! Check out some of the highlights of each event below! 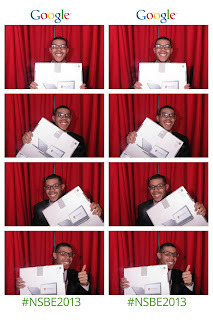 In February, Google was a gold sponsor of the 2013 Richard Tapia Celebration of Diversity in Computing in Washington DC. Named in honor of Rice University professor Dr. Richard Tapia, the conference has become one of the most diverse gatherings of Computer Science students in North America. This year, a few well-known Googlers were able to be part of the program. Vint Cerf delivered a keynote talk and New York Engineering Director Marcus Mitchell participated in a panel discussion about the future of technology. Google also hosted a conference session in which a group of engineers came together to give students candid advice on how to launch their CS careers. Taken from their time in college and as Google engineers, they shared personal stories of their own struggles and successes. Google was able to interact with several university groups travelling together and met up with past participants of Google programs like CSSI and Android Camp. Google was a proud participant of the 2013 National Society of Black Engineers (NSBE) National Conference. This year the event took place in Indianapolis from March 27- March 31st. The NSBE conference had over 10,000 participants that came together for the opportunity to attend various STEM related sessions such as tech talks, career development workshops, poster sessions and the annual career fair and the Google booth had over 450 students stop by to chat about our roles & opportunities. In addition to attending the career fair, several Googlers participated in tech talks and enrichment sessions. Isaiah Greene, a software engineer from our New York CIty office, lead a panel discussion on big data, while others facilitated resume review sessions with students. One of the highlights of the conference was the opportunity to meet with our selected Google Travel Scholars. 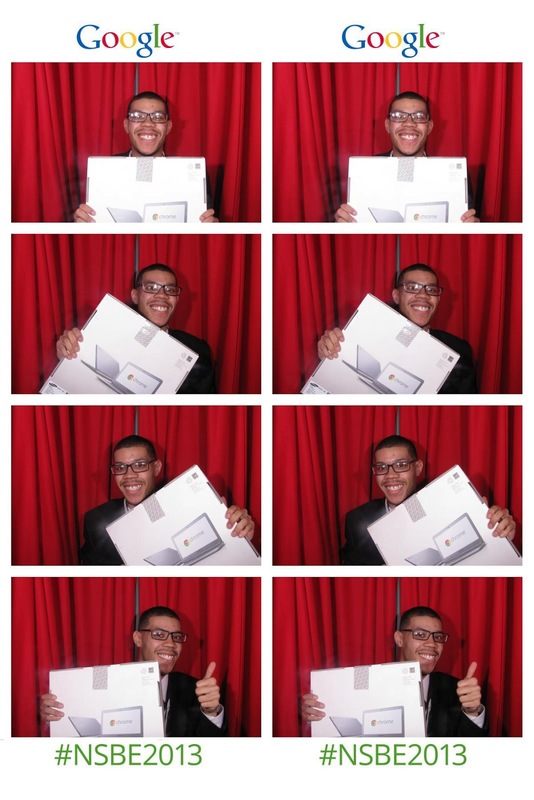 Five very talented computer science students came together at the event where we had a chance to celebrate their accomplishments by taking them out to a dinner with fellow Googlers. Google recently had a chance to participate in the Committee on the Status of Women in Computing Research (CRA-W) conference in Boston, Massachusetts April 5, 2013. CRA-W is an action oriented organization dedicated to increasing the number of women participating in Computer Science and Engineering (CSE) research and education at all levels. This year at the conference, Google partnered closely with Microsoft to put on an all-night dance party for conference attendees to celebrate their achievements. The evening entailed handing out colorful Google swag, classy cocktails, and ending with delicious appetizers and dessert. 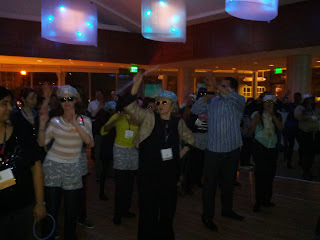 The women hit the dance floor and didn’t stop dancing till the wee hours of the morning!